BrandWide is a franchise sales, marketing and operations solution which enables entire franchises to connect corporate offices and franchisee locations with branded CRM and marketing tools, plus a range of other features like lead capture, appointments & tasks, sales forecasting, Microsoft Office integration, and more. The branded CRM system helps promote brand consistency across all franchise units by ensuring all businesses use the same sales processes, data entry forms, and communication templates. Users can also add their company name and logo to make the system their own. The dashboard and reports give users valuable insight into sales and marketing data such as lead conversions, marketing performance, sales pipeline, and more. BrandWide provides corporate offices with the tools to nurture, manage and convert franchise leads, onboard new locations, and share assets, leads and branding collaterals with locations. Users can also execute social and email campaigns on behalf of locations, as well as get real-time KPIs and insights from locations. BrandWide helps users bring all locations under a common platform to streamline management processes. For franchisee locations, BrandWide enables users to organize sales and marketing activities through the CRM, and generate leads using social and email marketing. Franchisee locations can receive assets, leads, sales best practices, training and collateral all from the corporate office. Users also have access to tools to manage all projects, tasks, and activities. The team at BrandWide is always responsive, respectful and solution oriented.BrandWide offers a tremendous amount of flexibility to be sure they will meet their customers needs. No one is placed in a box with their products. Tell them what you are trying to accomplish and they will find the solution for you. BrandWide offers a tremendous amount of flexibility to be sure they will meet their customers needs. No one is placed in a box with their products. Tell them what you are trying to accomplish and they will find the solution for you. Ease of use. Can't complain about the intuitiveness of the product. Could use a few more features...spoke with the support team and they have a robust product road map. Contact BrandWide for pricing information. • Users can capture leads automatically from their website or social media and input them directly into the BrandWide CRM. • The dashboard and reports give users actionable insight into their sales pipeline and activities, as well as marketing performance. • DocuSign integration streamlines contract management, allowing users to get contracts signed within the BrandWide platform. • Use email and social marketing tools to engage leads and establish the franchise brand. • Manage follow-up communication through emails, phone calls, and SMS messages from within the central CRM system. Below are some frequently asked questions for BrandWide. Q. 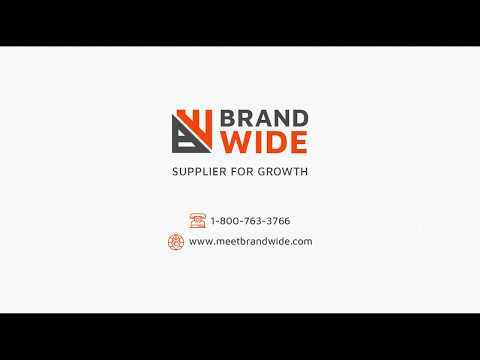 What type of pricing plans does BrandWide offer? Q. Who are the typical users of BrandWide? Q. What languages does BrandWide support? Q. Does BrandWide support mobile devices? Q. Does BrandWide offer an API? Yes, BrandWide has an API available for use. Q. What other apps does BrandWide integrate with? Q. What level of support does BrandWide offer?